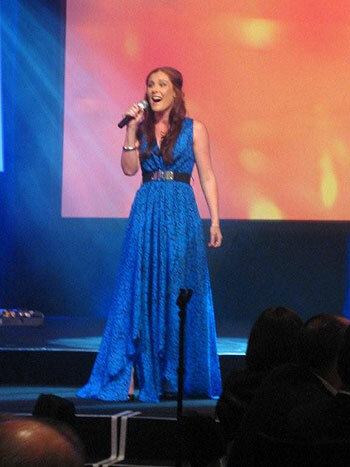 Last night at Sydney’s Four Seasons hotel, Jemma Rix performed the Wizard and I at the Ethnic Business Awards, where guests included her Excellency Governor General Quentin Bryce, AC. 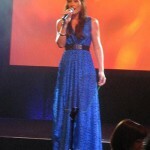 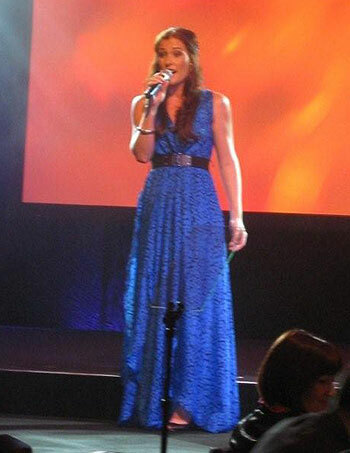 Dressed by Myer, Westfield Bondi Junction in a stunning Wayne Cooper dress she amazed the guests. 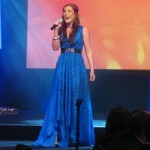 This will be shown on SBS television throughout December.